You can’t judge a book by its cover, or a gift by its wrapping. What about a product or service by its package? That’s a hot-button issue in many industries, from food and beverage, to pharmaceutical and medical, to retail and industrial manufacturing. Breakthroughs in packaging design can boost market share, save cost, and reduce environmental impact. As global resources tighten, and the buying power of the millennial generation continues to rise (by the way, that’s about 77 million tech-savvy, frugal, and sustainability-minded individuals) packaging is in the innovation spotlight. In the food industry, re-sealable aseptic containers have completely changed the way broths and stocks are sold and used in home kitchens. The cartons are lighter than cans or jars, and because they’re rectangular they save shelf space. But what “seals the deal” is that their tops, like those on milk and juice cartons, can be screwed back on after opening. Unlike cans, consumers can easily save leftovers, and in turn broths and soups can be packaged and sold in larger quantities. According to Suley Muratoglu, Tetra Pak’s Vice President of Marketing & Product Management, Swanson changed the game when it started selling broth in the new packs. They leveraged the innovation by launching an intensive recipe campaign to encourage use of broth in higher volumes by home cooks. The result? In a food category that had been declining, sales are up more than 22% since 2009. More than 58% of broth is now sold this way. Muratoglu says that tomato sauce is poised for a similar shift, as the Hunt’s brand has begun rolling out the new packaging. In another food category, the Kraft YES Pack won the Flexible Packaging Association’s Highest Achievement Award. Designed using state-of-the-art technology and real-world insights from end users (foodservice operators), the YES Pack provides a flexible alternative to rigid and unwieldy gallon jugs. YES is an acronym for the pack’s three prime benefits: yield, ease, and sustainability. And it delivers: there’s virtually no product waste because that last ounce of dressing can be squeezed out; it’s easy to store, carry, and pour; and it uses 60% less plastic and 50% less energy to manufacture. What about eliminating packaging altogether? That was Aaron Mickelson’s thesis project at the Pratt Institute in Brooklyn, New York. Entitled “the disappearing package” Mickelson’s website shows his inventive, but not far-fetched, prototype packaging designs. For example, he wraps trash bags in…a trash bag, of course (the last bag in the roll functions as the package itself). Eliminating the cardboard box would save 68 pounds of package waste per pallet, and more than 3,000 pounds per truckload. And it could have appeal to consumers. Mickelson told Fast Company: “Right from the start, I knew I wanted to show that a disappeared package didn’t need to mean a completely new paradigm for the consumer or a great sacrifice for the brand. Disappeared packages retain all identity and marketing opportunities of traditional packaging solutions. I think consumers want to be green, but they’re not ready to make profound changes to their normal routines to do it.” It’s easy to envision his designs creating paradigm shifts across many product lines. There’s a strong tale of strategic innovation embedded in another packaging design – the AidPod by ColaLife, an independent non-profit based in the U.K. The problem – The plague of childhood diarrhea in rural Africa costs hundreds of thousands of lives, yet it is easily treatable with an oral rehydration solution and zinc. Mothers just don’t have good access to the cure. ColaLife’s pilot solution: Design a kit that can be easily delivered to remote areas through an existing private-sector supply chain. The natural solution appeared to be Coca-Cola’s supply chain. Coke is available all over Africa, even in places where the company has no official distribution. Working with packaging partner PI Global, ColaLife designed a self-contained kit that nestles in a soda crate between bottles. The package was an integral part of their business model design, which would allow profits at every point in the value chain, from manufacture to distribution to subsidized retail sale, and piggyback on Coke crates for delivery. The only new element in their trial solution was the package itself. Their innovative design earned widespread recognition; it was featured as a breakthrough innovation for child health at the recent UN General Assembly, and won the 2013 DuPont Diamond Award for packaging innovation, cost/waste reduction, and sustainability. As Simon Berry, ColaLife’s founder, says, “At this point, the natural thing to do would be to relax and bask in the glory of all of this fabulous recognition.” But after a year of trials, the non-profit is not satisfied with the results; the subsidized price tag is still too high for some mothers, and not enough retailers are including the kits in crates to be delivered to shops. So ColaLife is adding another package design for areas where their distribution model is not a key enabler. It’s a screw-top jar that can be produced locally and sold less expensively. 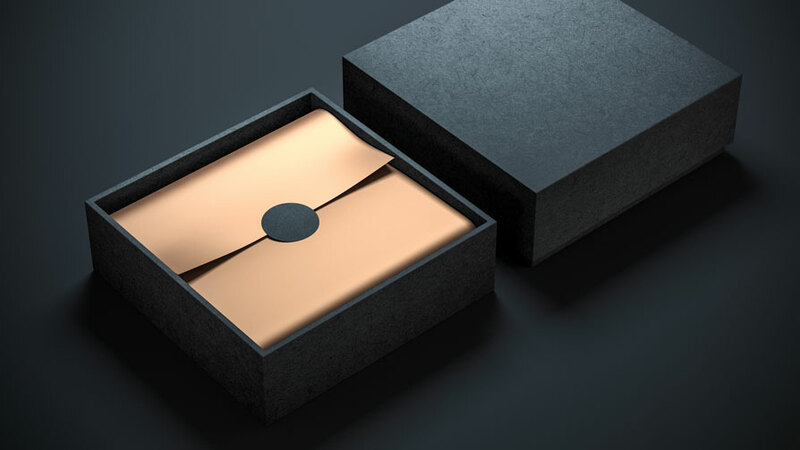 Whether you are in consumer or industrial goods, rethinking the design of packaging in your company could mean more than tweaking the wrappings and shaving costs – it could help drive growth in your top line as well. Growth and innovation are the mantras in just about all companies, but what kind of growth is “good” growth, sustainable growth? And what are the keys to it? We found some insights in a new Inc. research study of more than 100,000 U.S. midmarket businesses.